The Juggler was born back when the mechanic “setblock” and “summon” were new. When I realised I could make someone juggle, I did. He can. He took on a life of his own and started demanding more things to juggle. More and more, he would juggle every day and every night. The demands continued and this map was born. Part tech demo, part adventure map and a huge part of juvenile humor created this 20 minute Minecraft experience that everyone should try. Go on. 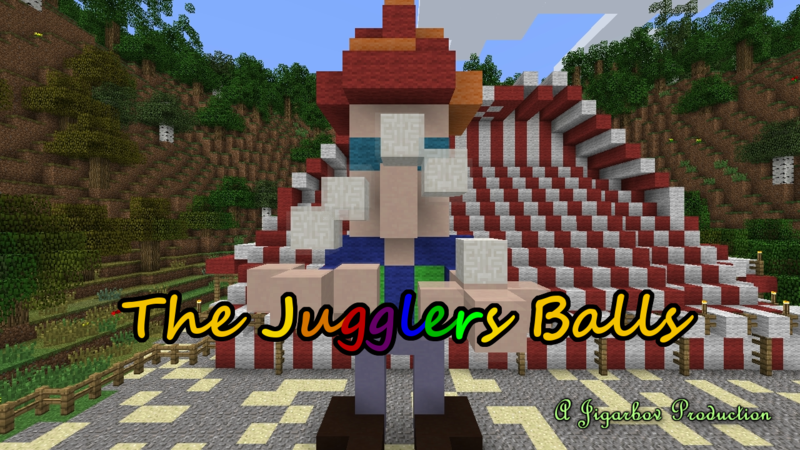 Play with “The Jugglers Balls”. If for some reason you didn’t spawn in the correct beginning, the coordinates are: x:65 y:63 z:-507 Thanks for playing! Also if you’re having problems with frame-rates check out this video, it might help. It says 1.7 but works on any version 1.7 and later. Does this work on 1.8 release?